Hay Fever affects around one in five people during their lifetime. It is caused by an allergy to pollen, either from grass, weeds or trees. Hay Fever sufferers typically get runny or blocked noses, itchy, red or watering eyes and itchiness of the mouth, nose, throat and ears. The medical name is seasonal allergic rhinitis - rhinitis means swelling inside the nose. There are different types of Hay Fever. Symptoms can change depending on the time of year, pollen count, and your specific allergy. Around 90% of Hay Fever sufferers in the UK are allergic to grass pollen, which is usually released between May and August. Around 25% of UK Hay Fever sufferers are allergic to tree pollen, released between January and April, with weed pollen causing problems during the autumn months. The main symptoms of hay fever are: sneezing; red, itchy or watery eyes, itchy throat mouth and ears and a runny or blocked nose. The higher the pollen count - an indication of the amount of pollen per cubic metre of air - the worse Hay Fever symptoms are likely to be. A low to moderate pollen count usually shouldn't cause hay fever to flare up. Hot, humid weather, and particularly windy days, can cause hay fever symptoms to worsen, as there is more pollen in the air. Rain usually helps clear away pollen and lowers the count. As more flowers open on hot days, more pollen is released. Symptoms will usually be at their worst in the early evening. Most Hay Fever symptoms aren't debilitating. However, in extreme cases, skin around the eyes can swell up and reduce vision, or, in cases where sufferers also have asthma, Hay Fever may cause breathing difficulties. Most Hay Fever can be controlled with over the counter medication. 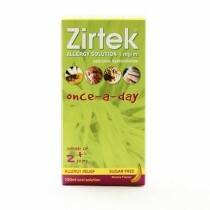 A variety of Hay Fever treatments are available to help reduce the allergic reaction. 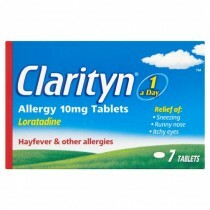 The most popular treatment for Hay Fever is antihistamine tablets. 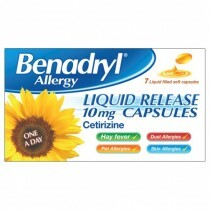 These stop the body releasing histamine, so the classic symptoms of an allergic reaction don't occur. 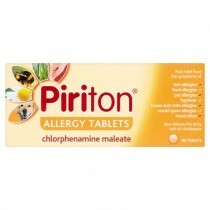 Antihistamines can also help soothe itching, sneezing, and watery eyes - but are unlikely to clear a blocked nose. 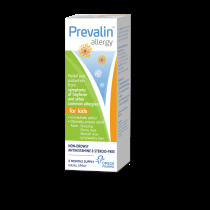 Antihistamines can be taken before hay fever symptoms begin to show, as this can help prevent the onset of hay fever when the pollen count starts to rise. 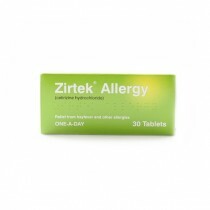 Different antihistamine treatments are available. Be sure to check if it's likely to make you drowsy. Nasal sprays are a topical treatment, applied directly inside the nose. 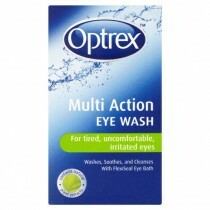 These can work by calming inflammation and soothing Hay Fever symptoms. Most nasal sprays contain corticosteroids. Corticosteroid tablets are also available from your GP for rapid short-term relief of severe symptoms. For particularly blocked noses, decongestant sprays may help to relieve the symptoms but these should not be used for longer than seven days. 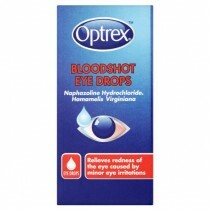 Eye drops are also available to soothe itchiness and prevent watering In severe cases, doctors may prescribe an immunisation jab.